We were up before sunrise on a frosty morning to get on an early cruise on the Sound much of which was still in shadow. It is the low season but even so, numerous coach tours arrive for the middle of the day cruises and an early start is advised. We were on a small boat with only around 20 people on board so no great crush to see what was going on or take photographs. 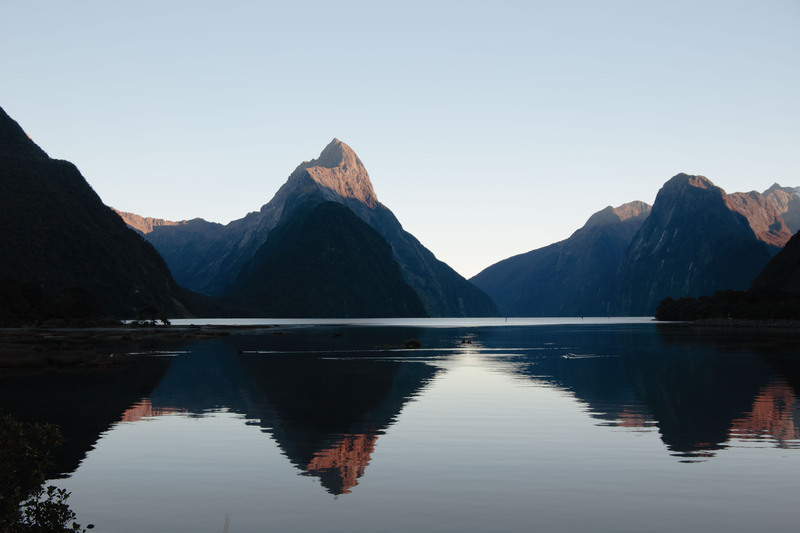 We had a nature guide with us who provided a lot of interesting information on the geology, natural history and the settlement from the earliest Maori settlers to more modern times. 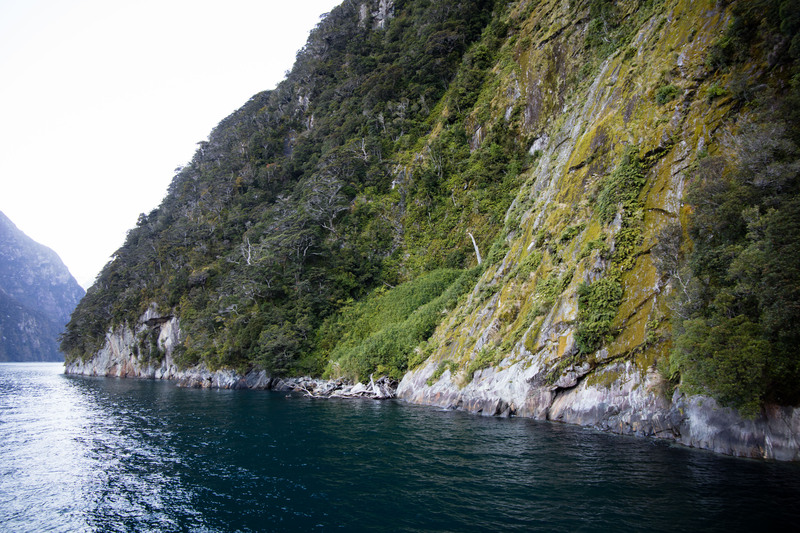 The entrance to the Sound from the Tasman Sea is so narrow that even Captain Cook did not spot it when he was sailing by. 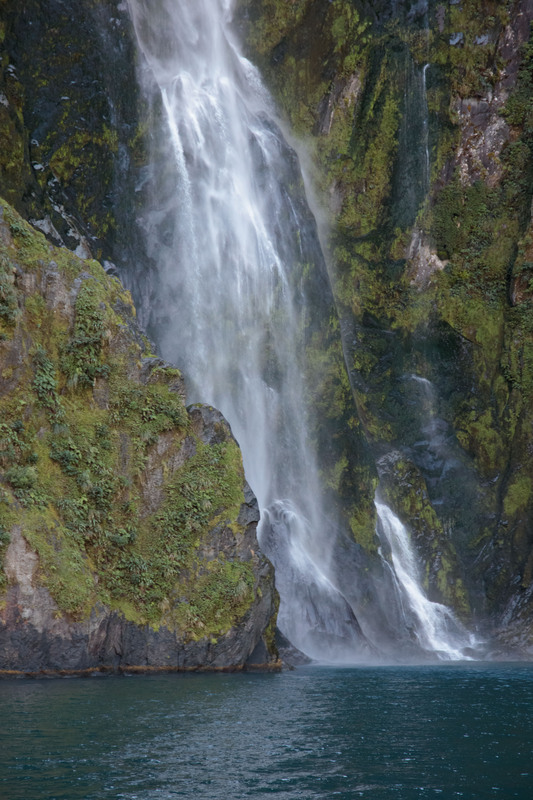 Rudyard Kipling called it the eigth wonder of the world. We could not have picked a better day weather-wise and my anxieties about rain were rapidly abolished. It was cold with a clear sky and hardly any wind at all. 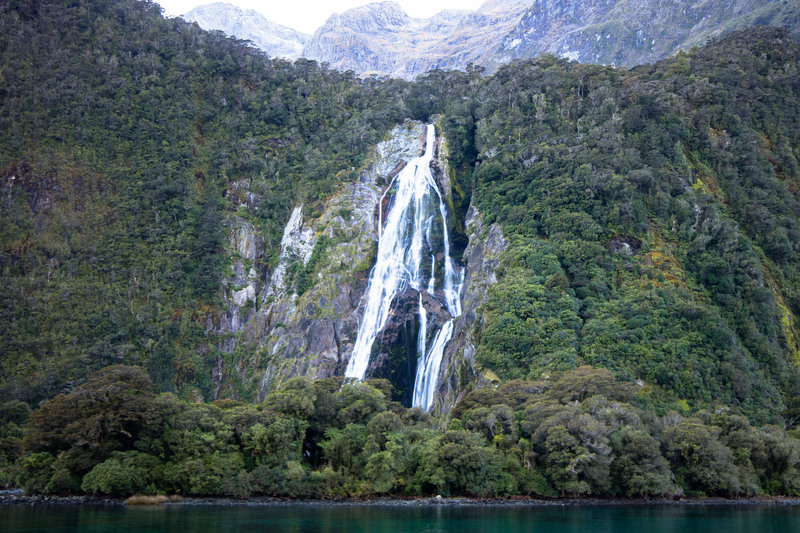 There are two waterfalls, the Bowen and Stirling. Some people got very close to the latter but I stayed well clear of the spray with my camera. 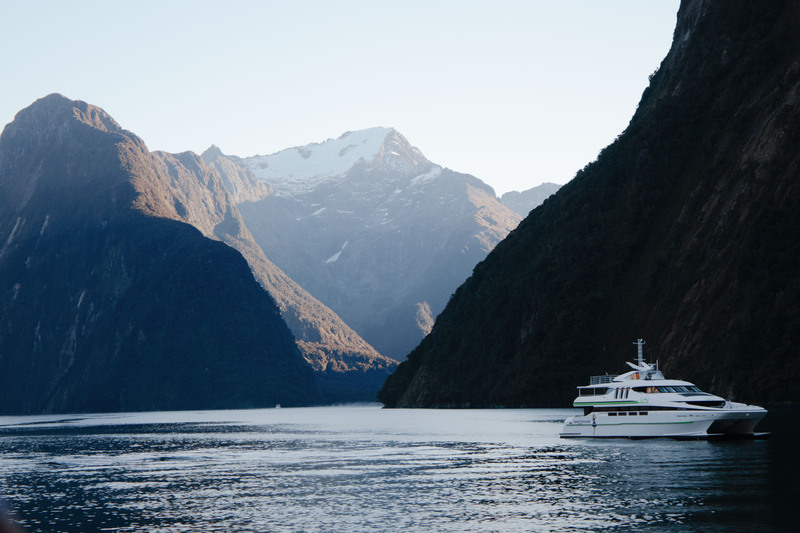 Even the boats are dwarfed by the vast cliffs. 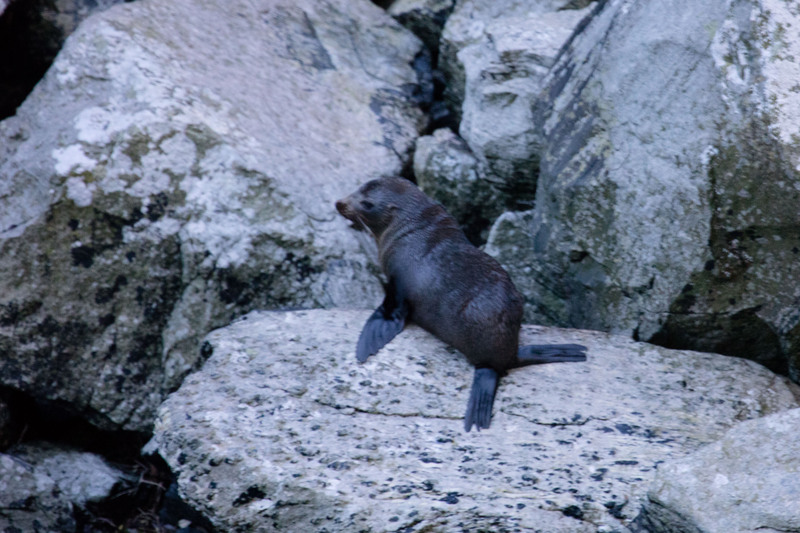 There were a few New Zealand Fur Seals on the rocks but no dolphins or penguins seen on this trip. At Fraser Cove, we were dropped off at the Discovery Centre where you descend into a submerged cylindrical room with views all around of the deep water with corals, fish, sea anemones, cucumbers and all sorts of other sea life. You can even sometimes spot a conger eel but we did not. If you do not dive it is a great way of experiencing life deep underwater. 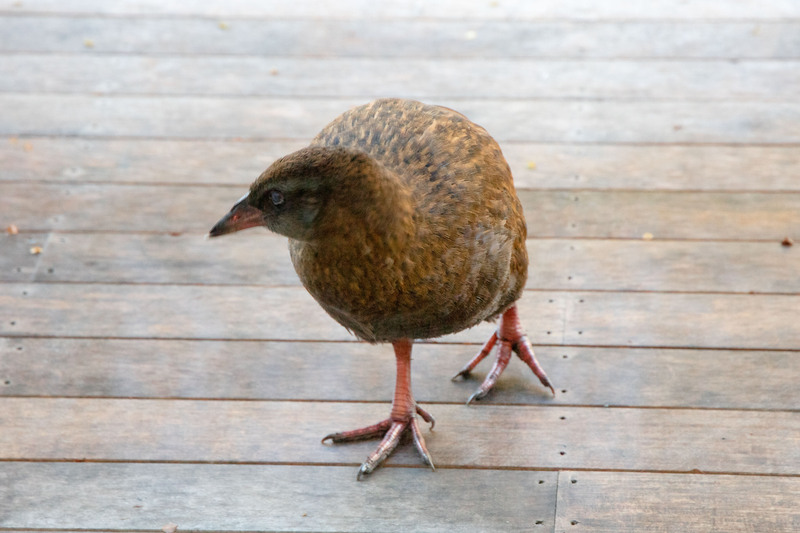 Back at our cabin we had a relaxing afternoon and this Weka decided to pay us a visit on the deck. I’m so happy you had good weather for such a trip. The submerged room at the Discovery Centre sounds so cool. Craig would’ve appreciated it – he’s a certified rescue scuba diver and would have wanted to be in the water as well. I might be wrong about this, but I *think* he actually had an interaction with a Conger Eel in the Monterey Bay! 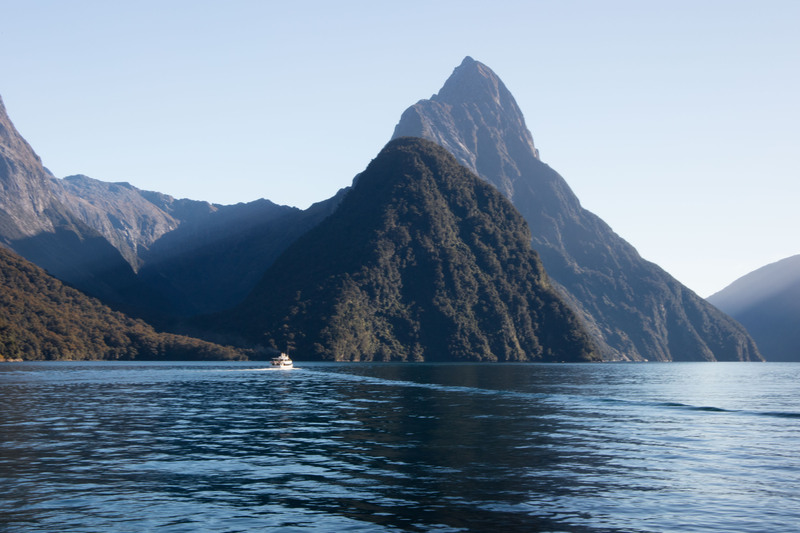 Love the first shot of Milford Sound and how incredible to think that Captain Cook didn’t spot the entrance to it.